People talk about photojournalism a lot in vague, self-sacrificing ways. It’s brought up often that the job is to give a voice to the silent, to tell and show things that would never be shown if not for the journalist. This is all true. Hours, energy and passion are devoted while spending time with others as, hopefully, a fly on the wall. What you rarely hear about is how selfish it can be, or if nothing else, one of those rare situations where you give and get, an almost equal exchange. I can only speak for myself, as a photographer who has dabbled in many facets of imagery, from fine art, portraiture, and, God help me, wedding photography. I went to grad school to be able to teach in a profession I didn’t really understand how to make a living at. I found myself in a school where I could focus in documentary photography because I had most recently found a comfort in street photography. 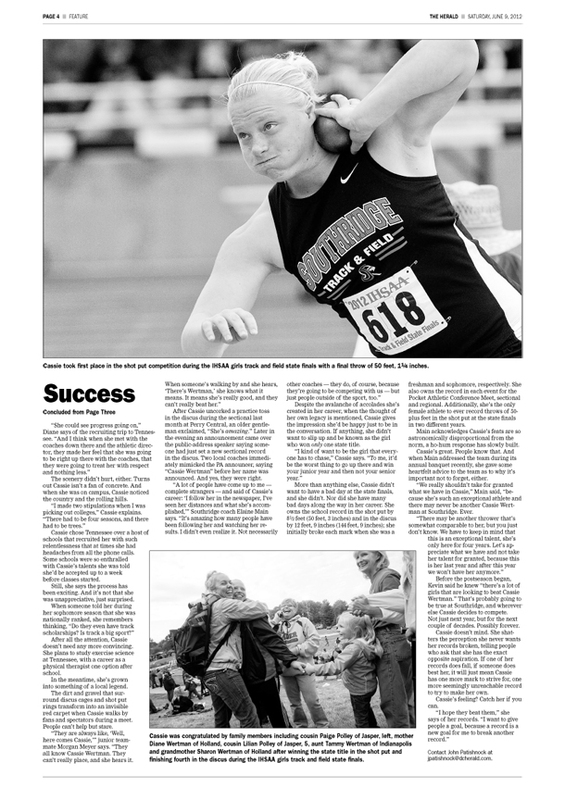 Through the program I chose journalism classes to expand on. 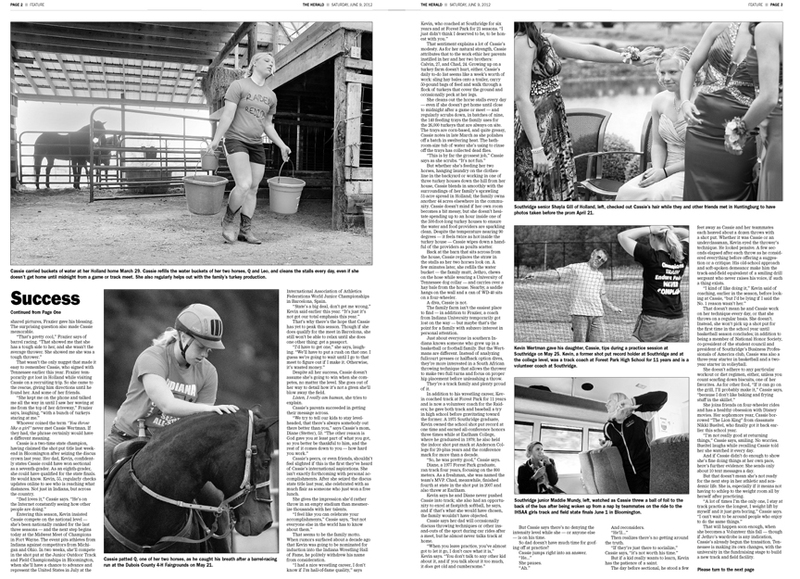 In those classes, and with the likes of Mark Dolan and Phil Greer, I was thrown into a shooting style that lent itself to newspaper photojournalism. The uncomfortability of talking to strangers in venues I would never find myself in otherwise. It takes a little bravery people can get over or they can’t. If you can, you feel alive and proud and bold. Once you do (and no one ever truly does, do they? 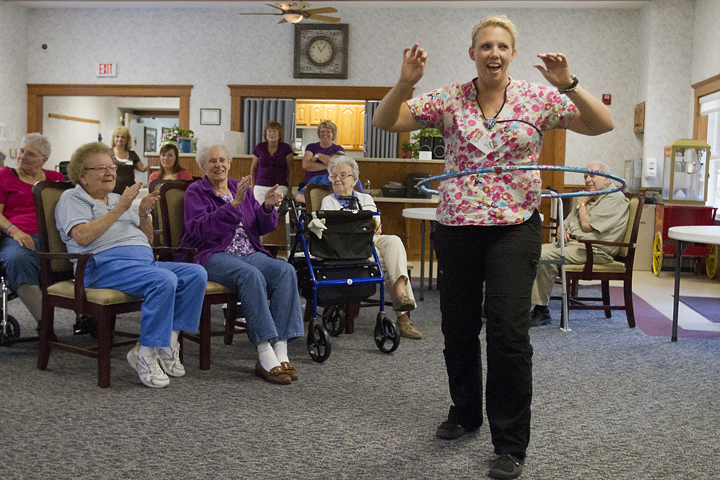 ), you put yourself in situations that can be exciting, whether at a bingo hall or a political rally. It’s exciting because it’s somewhere I wouldn’t have been. And I found myself feeling alive because I was a part of something I wouldn’t have been a part of before. 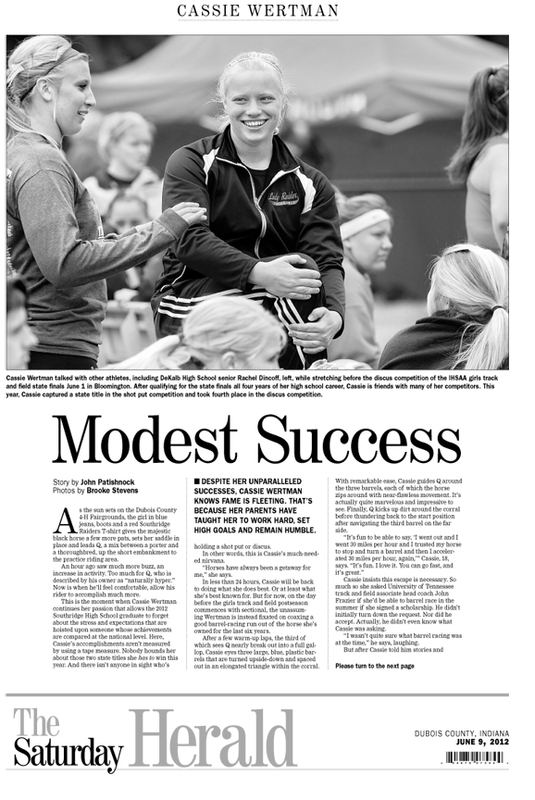 I know with myself, and I can only speak for myself, photojournalism had made me feel a part of something. I’m one of those self-involved people who has always felt like an outsider. I get along with people. I’m outgoing. I’ve even been described as (gasp!) “Enjoyable” by others. But still, something’s always been a little off, like maybe, I don’t fit anywhere. Photojournalism has allowed me to be everywhere. Being lucky enough to be an intern at the Dubois County Herald, I found myself, at 30, enjoying high school basketball games for the first time. Ever. I was able to appreciate the enthusiasm the students had for each other, their team and their school in a way that I couldn’t relate to at their age. I never cared about that stuff as a high school student. It took me 12 years of being out of it to appreciate it, to see and feel the loveliness of kids rallying together in tradition and pride. 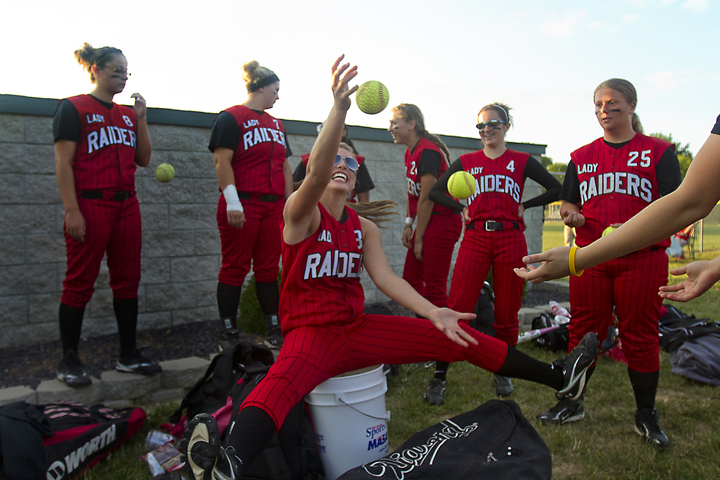 Journalism, and photojournalism is a gift to someone like me. I can pretend like what I’m doing is for some greater documentary good (which it is and has been for others far more talented and devoted then I) but at the end of the day the profession, even as a student, has allowed me to see individuals in a different light. It’s a gift to meet someone of a different ethnicity, religion and political leaning then myself and be forced, due to strong journalistic ethics, to look beyond the stereotypes and learn more about someone. To have some understanding on why they may think and do what they do, even if I may not agree with them. 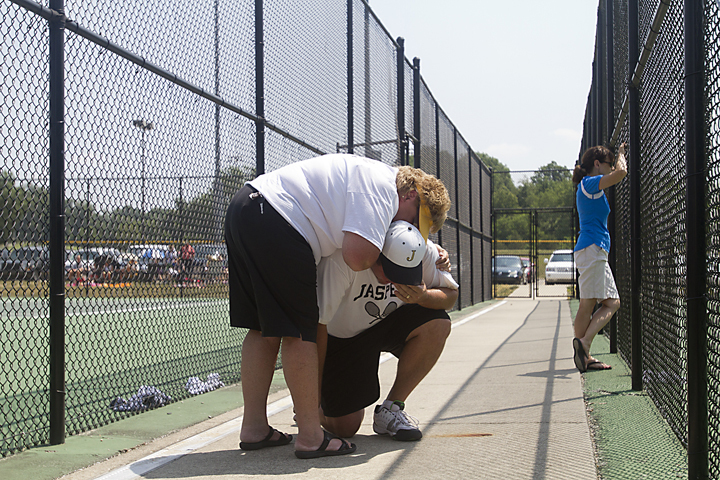 Photojournalism is a lesson in humanity in which I’ll always be grateful for. I may be an outsider, but I’m closer then I ever have been before. 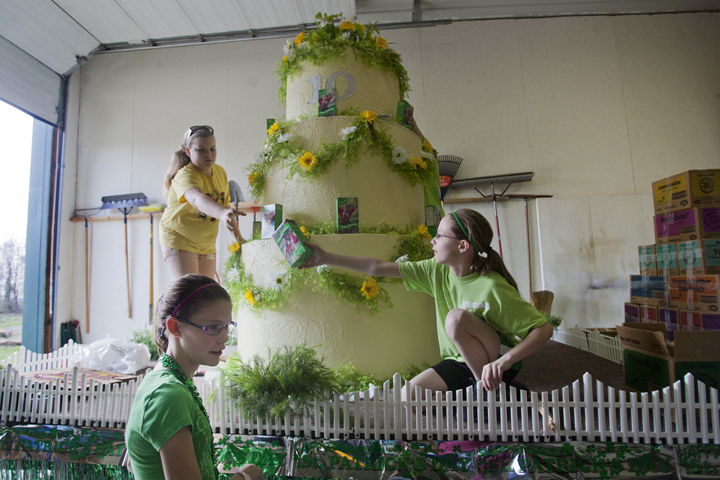 A birthday cake and float was decorated for the Saint Patricks Celebration Parade in Ireland on March 17, 2012 by, clockwise from top left, Nicole Mehringer, 10, Troop 646, Katelyn Sander, 12, Troop 18, and neighbor Hannah Nixon, 12, all of Ireland. The float was followed by girl scouts, brownies and daisies from troops around Dubois County on March 18, 2012. 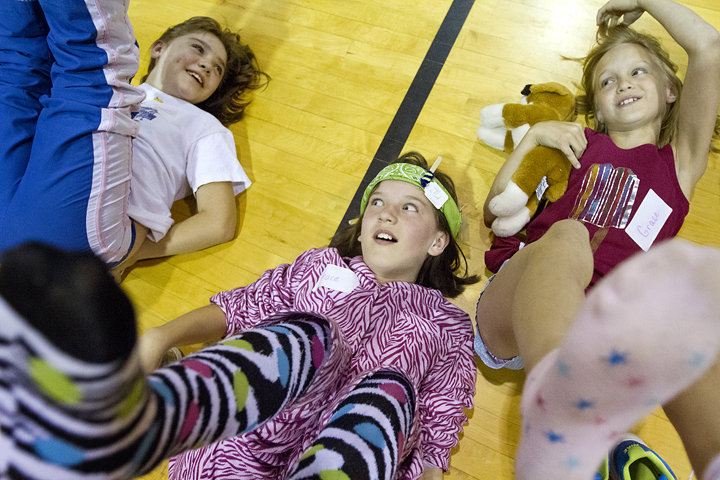 Girl Scouts from Troop 143, from left, Camille Fleming of Holland, 9, Grace Sickbert of Huntingburg, 9, and Grace Meece of Huntingburg, 10, lifted their feet in the air for the wild sock contest during a lock-in slumber party at Holland Elementary School in Holland April 13, 2012. 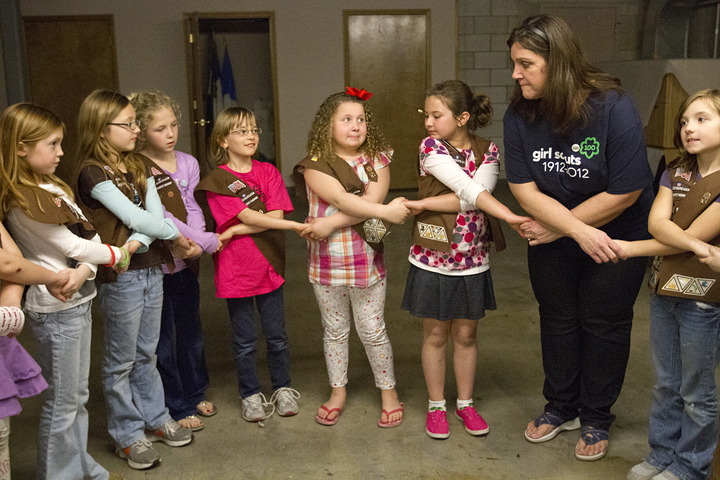 Girl Scouts from Troop 425, from left, Chloe Buchanan, 8, Madeline Wanninger, 8, Lexi Freyberger, 8, Kiersten Woehler, 9, Hannah Scott, 9, Gracie Sunderman, 9, troop leader Shelley Merkel, Madelyn Merkel, 9, all of Jasper, gathered in a friendship circle at the closing of a meeting at Precious Blood March 12, 2012. The friendship circle represents an unbroken chain of friendship. Holy Family Parish in Jasper celebrated the Girl Scoutâs 100th anniversary by including Girl Scouts, Daisies and Brownies in the service on March 11, 2012 including, from left, Celeste Eby, 8, Lexi Gress, 8, and Addison Clauss, 9, all of Jasper. 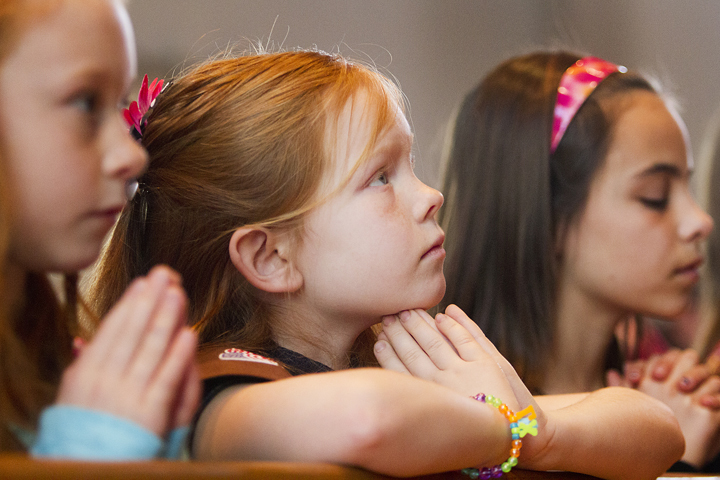 While the Girl Scouts are officially a secular organization, they offer patches to encourage girls to explore their faith. 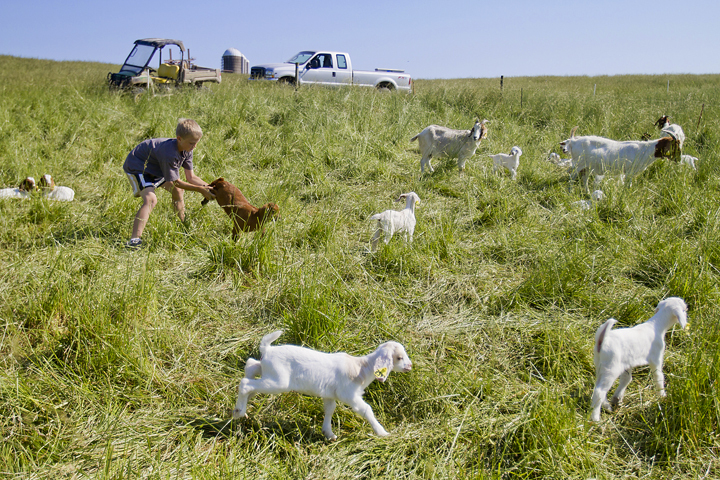 Jake Tower, 9, tried to catch a baby goat while moving a herd of to another pasture. Jake, along with sister Abby, help out on the farm and enjoy working with the goats during birthing months.